Just because China's upcoming moon mission is unmanned doesn't mean it will be unoccupied, as — in an effort to test possible self-sustaining biospheres that could lead to larger projects — cohabitating flora and fauna will be transported to the lunar surface alongside mechanical research devices. Adding to science that could result in the profitable human habitation of our nearby satellite, China's Chang'e 4 moon mission, planned to launch in June, will include experiments designed to create a small self-sustaining biosphere between silkworms and potato plants, as carbon dioxide from the worms will feed the plants and oxygen given off by the plants will encourage the critters to thrive as well. Named for Chang'e, the Chinese goddess of the moon, Beijing's lunar exploration program will see its second significant unmanned launch take place this summer and an expected moon landing toward the end of this year. As well as carrying multiple devices to study — among the many celestial phenomena — cosmic rays and the solar corona, the lander will also carry a little box containing water, a nutrient solution, a data transmission system and a small camera to record the progress of living creatures eking out their subsistence on the moon. In the course of the unprecedented experiment, sunlight flooding the lunar landscape will be directed inside a box to trigger the growth of plants and seeds. 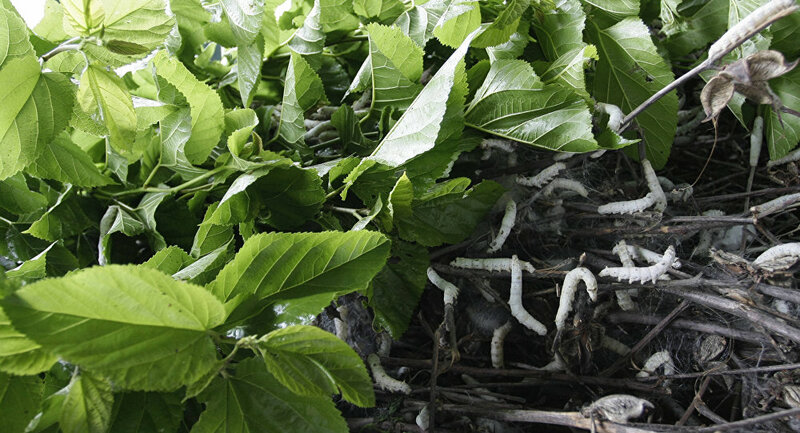 The oxygen released by the growing plants — it is hoped — will cause the silkworms to hatch from their cocoons. The little creatures will, in turn, emit carbon-dioxide and waste, and voila! a cycle of life on an alien environment will be observed, according to Chinese scientists. If successful, a self-perpetuating biosphere will add much to the ever-growing font of data that will one day be used to support a human habitat on the moon, according to Beijing. "Our experiment might help accumulate knowledge for building a lunar base and long-term residence on the Moon," stated Professor Liu Hanlong, chief director of the experiment and vice president of Chongqing University, cited by Xinhua news agency. While astronauts orbiting the earth have conducted successful experiments with various plants, doing so on the moon presents a radically different challenge, according to reports. Citing low gravity and no atmosphere, "The environment on the Moon, 380,000 kilometers from the Earth, is more complicated," Xinhua noted in a report detailing the upcoming lunar mission.